Saxophonist Brandon Wozniak previously lived and worked in New York City, toured with the Tommy Dorsey Orchestra, and earned his BA from Indiana University under the tutelage of the late David Baker. Since arriving in the Twin Cities in 2006, he has performed with local bands including the Atlantis Quartet, Red Five, Dave King Trucking Company, the Bryan Nichols Quintet, Zacc Harris Quartet, and Vector Families; and in varying combinations with Adam Linz, Billy Peterson, Dean Magraw, Kenny Horst, Zacc Harris, Steve Kenny and more. Over its first two seasons, Brandon performed on the Jazz in the Target Atrium Series at Orchestra Hall as part of the Atrium Jazz Ensemble, led by Jeremy Walker. Pianist Patrick Adkins is a graduate of Edina High School who performed with the Dakota Combo and Minnesota Youth Jazz Band. He started taking classical piano lessons at age six, later studying jazz with Tom Pletscher at MacPhail. Now a junior at Lawrence Conservatory, Patrick leads Sound Skirmish, an ensemble he organized during his high school days with Levi Schwartzberg, Drew Stinson and Ben Ehrlich. He also recently presented an evening of solo piano and original compositions at Jazz Central, where in July he performed in a tribute to Paul Motian with the Charlie Lincoln Quartet. Graydon Peterson played electric bass in his high school pep band and dabbled in rock music in his spare time before landing in the All-State Jazz Band. At the University of Wisconsin-Eau Claire, Graydon was a member of UWEC’s Downbeat Award-winning Jazz Ensemble I, and performed with such guest jazz artists as Lewis Nash, Ingrid Jensen, Jason Marsalis, Chris Botti, and Christian McBride. Based in the Twin Cities over the past decade, Peterson is a first-call bassist who leads his own quartet and performs in the bands Firebell, Ghost Tour, Charanga Tropical, and the Adam Meckler Quintet; was a founding member of Snowblind; is often on the bandstand supporting area vocalists; and frequently appears in ensembles with Mary Louise Knutson, Reid Kennedy and more. Recently he has had several opportunities to perform in Cuba with Francisco Mela and Doug Little’s Charanga Tropical. 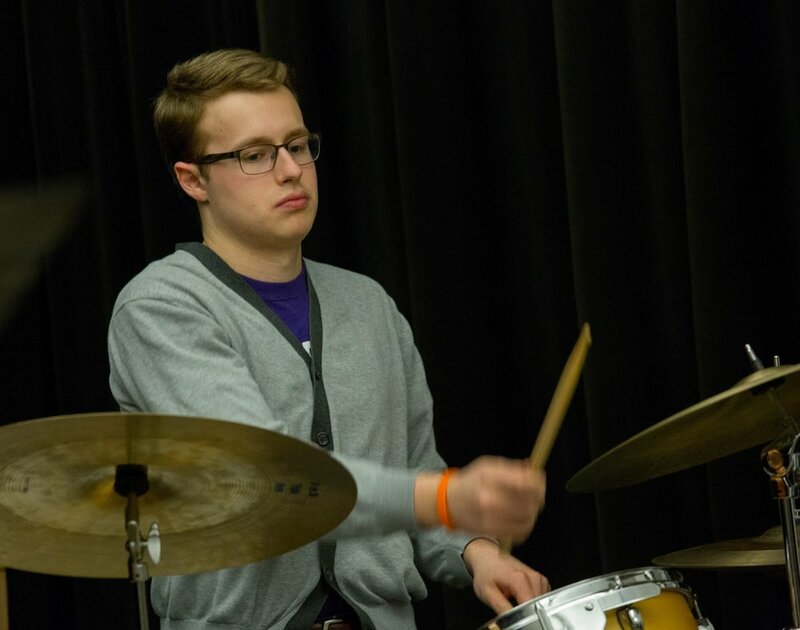 Luke Peterson is a graduate of Apple Valley High School who performed with the Dakota Combo during his senior year as well as the Minnesota Youth Jazz Band where he met Adkins. He currently attends Northwestern University in Chicago as a math and physics major. Luke currently leads his band No Exit and has played at Reverie, Twin Cities Jazz Festival, Iowa City Jazz Festival, and the Black Dog. The quartet will perform original compositions of Adkins and L. Peterson.